Lord of the Rings is one of the biggest fantasy franchises of all time, both on the printed page and the silver screen, so it was hard not to get excited to see JRR Tolkein’s The Hobbit be adapted into film. However the fact that it was divided into three movies brought with it a lot of problems. 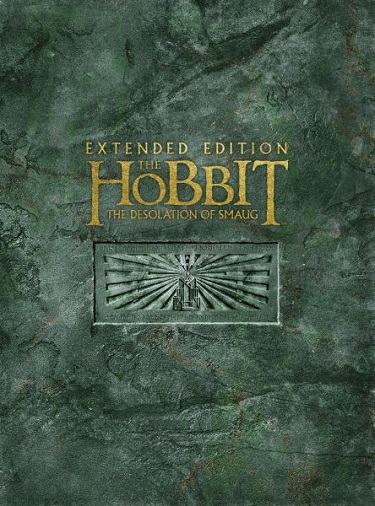 Scenes that go on for too long or add little to the overall plot, and a tone that is neither consistent with itself or the original source material, and an over the top use of CGI really detract from what could otherwise be an enjoyable instalment of the Lord of the Rings saga. Following on almost directly from the end of An Unexpected Journey, The Desolation of Smaug follows Gandalf, Bilbo and the group of travelling dwarves as they head towards their home in the Misty Mountain to reclaim it from the vile dragon – Smaug. Like all of Jackson’s Lord of the Rings films, The Desolation of Smaug is filled with action, adventure and with more than a little darkness. Watching the film comes as a bit of a shock to the system for anybody who grew up reading the original book – the tone of the film is a lot darker than the children’s tale. 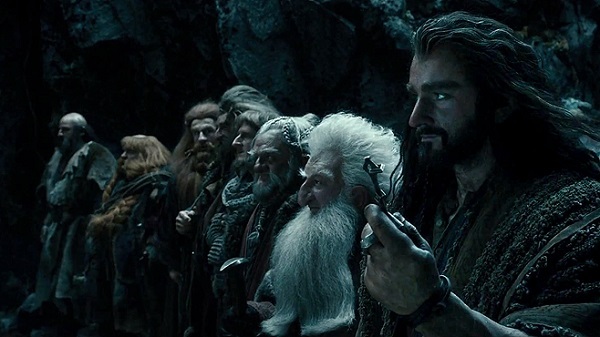 The darker tone can at times feel a little at odds with the characters as they appear in the film – the dwarves for example, aside from their leader Thorin, all have a jovial and joyous persona and are more like bumbling, comedic relief than actual characters. The comedic relief aspect would be fine if they didn’t make up the majority of the cast and the film didn’t have its darker, more serious tone. 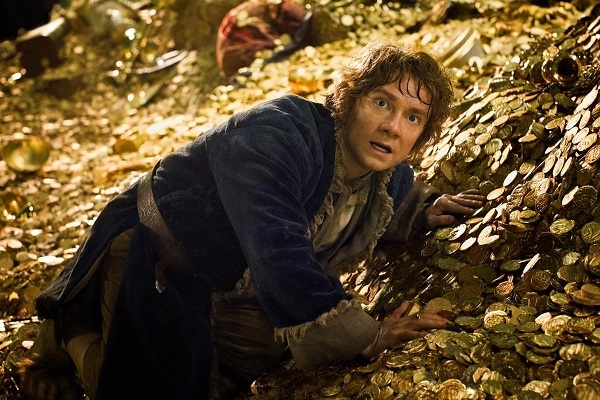 Bilbo, played by the talented Martin Freeman is really the lynchpin of the film, and he brings with him a lot of acting talent to an already chock-a-block full outing. The actor, more commonly known for his roles on television is able to stand alongside heavyweights like Sir Ian McKellen and Orlando Bloom and in many cases outshine them all. I truly believed Freeman’s portrayal of Bilbo and his whole “I’m afraid, but trying to be brave” act that he puts on. 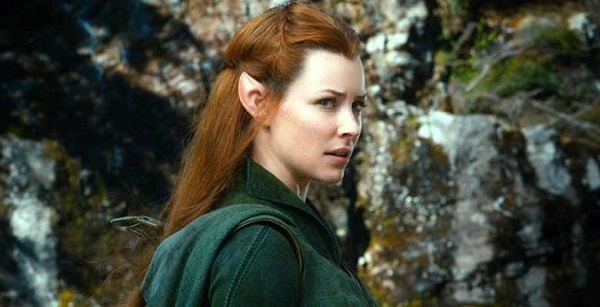 The key problem that the Hobbit trilogy has been suffering from is that it is too long. Each of the Lord of the Rings films were long, and the extended editions even more so – however the scenes all felt relevant and they all felt like they advanced the plot. The Hobbit movies, and this is especially true for The Desolation of Smaug. A good hour’s worth of the film doesn’t really add anything to the plot or the characterisation and feels like it is there solely to pad out the length of the movie. Scenes like the dwarves escape from the Elvish prison and the subsequent ride through the river in barrels is entirely too long and in dragging on the way it does, becomes boring and tiresome. The extended edition of the film adds about a half-hour’s worth of additional content, and a lot of this is pretty cool. While many of the scenes included in the theatrical release suffered from being too long or not aiding the plot, the extended scenes seem to fill in the gaps a little better. Discussions about the One Ring are some of the most powerful and really help tie the film to the original LotR trilogy. Where the original Lord of the Rings trilogy was filmed using a lot of practical effects and extras in fancy costumes, Jackson has opted for the cheaper, more grandiose use of computer generated imagery for the prequel trilogy. This use of imagery has sadly taken away a lot of the life and dare I say it, magic of the franchise. Once bustling townships and hordes of orcs have been replaced with computer-drawn NPCs, and honestly the franchise is not better for it. The aforementioned barrel scene is one that perfectly showcases the poor use of CGI in the film. The dwarves, the attacking elves, the river itself, all of it look just so fake. I know I have used this scene as a bit of a scapegoat for the film’s problems but it really is just a poignant example that showcases them all. However, for all of its negatives there are some things about The Desolation of Smaug that I really did enjoy. Cumberbatch’s portrayal of the proud, draconic Smaug is beyond reproach. Love him or hate him, the man has a flair for the villainous and brings a tremendous amount of gravitas to the role. 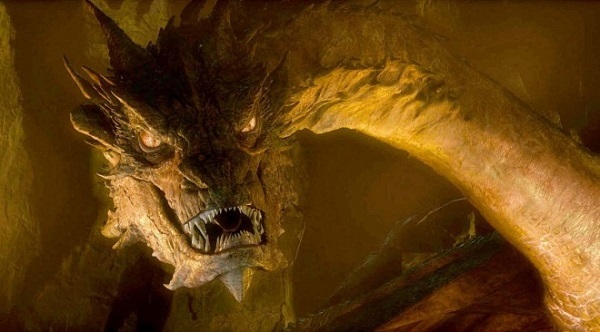 Smaug’s voice is brooding, commanding and in its own way very mesmerising. Not only does Cumberbatch bring a powerful oral performance to the role, but Smaug himself looks fantastic. Unlike the majority of the characters in the film, Smaug’s long reptilian body is animated so perfectly that you could swear he was real. The Lord of the Rings is one of those franchises that I adore, and I constantly want to feel the same way about the Hobbit. However Jackson’s use of CGI, inconsistent tone and the fact that a movie that should have been two-parts (at most) has been split into three has really made The Desolation of Smaug suffer. With just a few trims to the plot, and certain scenes removed the film would be an amazing example of the fantasy genre. As it currently stands however, it is only kept afloat by some seriously powerful performances and the love of millions of fans who have come to expect greatness from the franchsie.